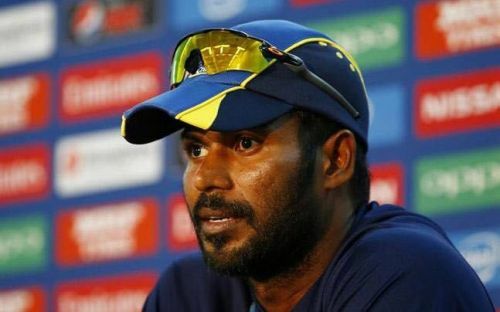 Several players includinSri Lankan T20 skipper Upul Tharanga is one among several cri to have expressed reservations about travelling to Pakistan. Sri Lanka Cricket has made it clear that players unwilling to travel to Lahore for the final match of the T20 series against Pakistan will not be considered for selection in the first two matches as well. While a few players, including Sri Lanka's T20 skipper Upul Tharanga, have expressed their unwillingness to travel to Pakistan citing security concerns, Sri Lanka's selection committee chief Graeme Labrooy said that it would be unfair to the players willing for the Lahore T20 to sit out the other matches of the three-match series. "The understanding is that we choose the same squad for the series, in fairness to the players who have put their hands up for the Lahore match," chief selector Graeme Labrooy said. "At the moment the board is talking to each of the players individually, so the selectors don't know exactly who is available now," he added. "But we should know that by Friday morning. Two SLC executive committee members have been contacting the players." Sri Lanka and Pakistan are currently playing out a 5-match ODI series in the UAE which the latter has already wrapped up following victories in the first three matches. A three-match T20 series is set to follow with the first two matches being played at Abu Dhabi while the final match has been scheduled for Lahore as part of Pakistan Cricket Board's efforts to bring back international cricket to their home turf. Despite being at the receiving end of the terrorist attack when they toured Pakistan in 2009, Sri Lanka Cricket has maintained strong cricket ties with their Asian counterparts. So it didn't come as a big surprise when they accepted PCB's invitation to play the third and final T20I of their series at the Gaddafi stadium in Lahore. However, despite the optimism gained by the successful hosting of a three-match T20 series between Pakistan and a World XI as well as the assurance on the security front given by the ICC and the PCB, as many as 40 contracted Sri Lankan players had written a letter to the SLC stating that they were uncomfortable about the prospect of playing in Pakistan. With Sri Lanka Cricket standing firm in its decision to go ahead with the fixture as scheduled, it seems a second-string squad will be named for the T20 series if Labrooy's words are to be believed. The 15-member Sri Lankan squad for the three-match T20 series will be announced on Friday and it remains to be seen how the squad will look like. The first two T20Is will be played in Abu Dhabi on October 26 and 27, with the Lahore T20 set to be played on October 29. If the Sri Lankan chief selector does stick to his words, we will most probably have a second-string squad representing the island nation in the T20 format against Pakistan with reports that the majority of the top players are not comfortable about playing in Lahore. It is harsh on the players that they are being forced to take such a decision as their concerns are pretty understandable given the volatile security situation in Pakistan. A match with top players missing from the opposition will also do little good for Pakistan's efforts to restore international cricket in the country.